Let me get this out there from the start: I always prefer to keep original light fixtures as long as they look good and they’re not fire hazards. One house I consulted on had a big, woven, cool-looking straw fixture. I looked underneath the shade and was horrified to see burn marks! Almost all the original fixtures in houses of the era will need rewiring. You can find places that will do this for you in almost any medium-sized town. I’ve also had a good electrician who was willing to rewire original fixtures for me. Sadly, most of the original light fixtures are long gone by the time I get to my consults. Often 1980s fixtures are there instead, with ghastly floral shades and ghoulish countrified designs. To paraphrase OJ Simpson’s lawyer: In this case, you must REPLACE! In my opinion, lighting design peaked in the 1950s and ‘60s and hasn’t been surpassed yet. (Footnote: I do have some favorite contemporary lighting designers, but that’s for another day and another post). Serge Mouille (pictured below). One of my favorite designers of all time and a luminary (pun intended) of French modernism, Mouille’s original fixtures are highly sought-after gems and very hard to find now, although a few lighting companies are reissuing good versions. Check out http://www.sergemouilleusa.com. 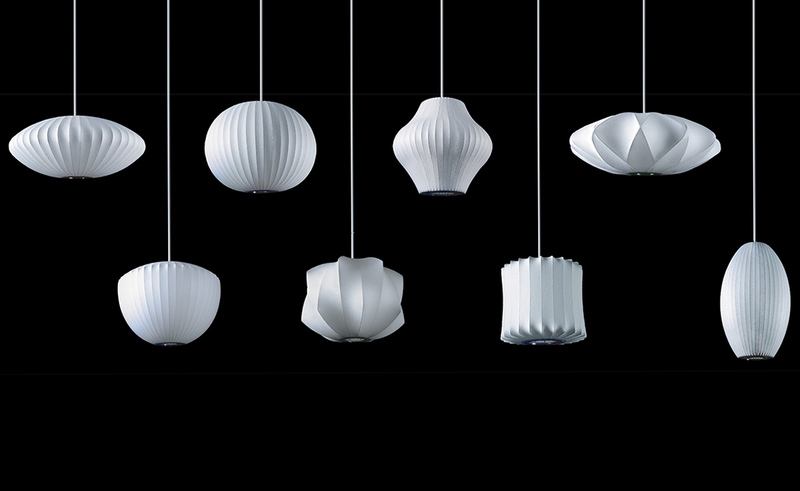 I seriously covet Mouille’s six-arm ceiling fixture (pictured here) for my own home. 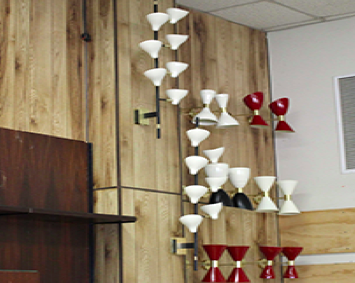 Like many of the great lighting fixtures of the era, each head is adjustable. 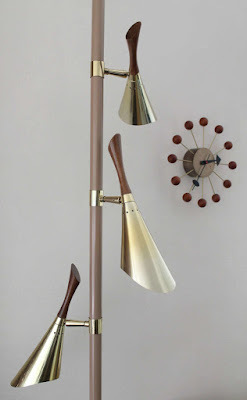 I also love these (below) mid-century wall sconces from Stilnovo. George Nelson. 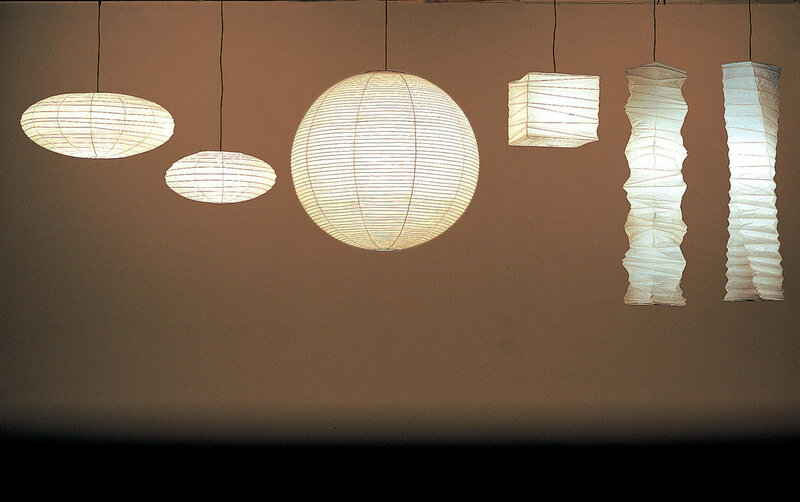 Nelson's beautiful “Bubble Lamps” (below) are ideal lighting choices for mid-century modern houses. 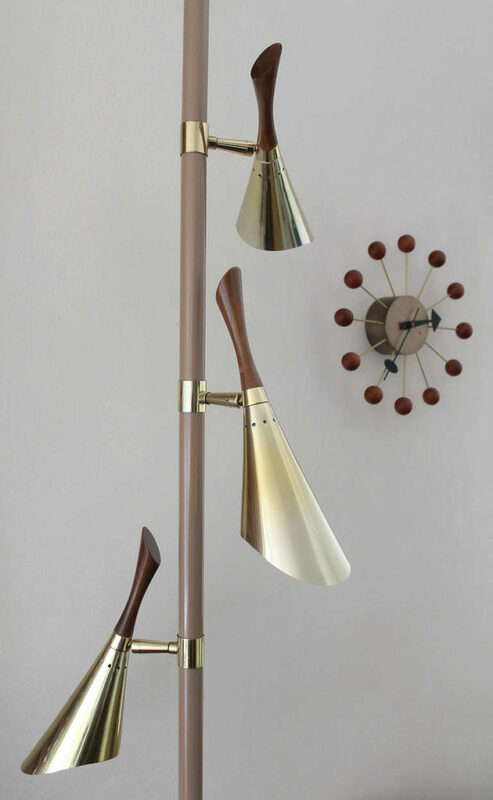 He designed these pendant lamps for Herman Miller and the Howard Miller Clock Company. You can find good reproductions now, but I prefer the originals with their pretty parchment coloring from age. Isamu Noguchi. Akari lanterns (below), by the brilliant mid-century sculptor (and Buckminster Fuller drinking buddy) Isamu Noguchi, are beautiful and appropriate additions to MCM homes. I love the almost weightless feeling of the paper in contrast with heavy masonry or fireplace elements. Gerald Thurston: A brilliant yet under-appreciated American lighting designer, Gerald Thurston designed for Lightolier. One of my favorites among Thurston’s designs is the tension pole (below) that stood from floor to ceiling with adjustable lamp heads attached. These are some of the very nicest fixtures for mid-century houses. You can still find them in vintage shops and, sometimes, on eBay. Trust me: They are well worth the effort. 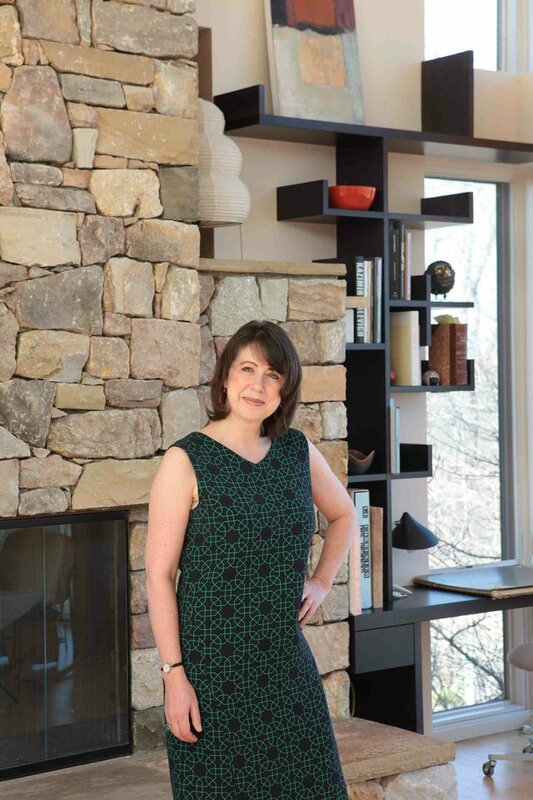 ARIELLE CONDORET SCHECHTER, AIA, is a licensed, registered architect based in Chapel Hill, NC, who specializes in Modernist, energy-efficient buildings with a focus on passive houses, NET ZERO houses, her new tiny-house plans known as the Micropolis Houses®, and mid-century modern renovations, remodeling, and additions. For more information: www.acsarchitect.com.